Though Jesus had no word of rebuke for the senior pastor of the Church of Smyrna, Philadelphia not only was not rebuked as well but praised by Him. How amazing God is in that the first mention of the Key of David is here, in the 22nd verse of the 22 chapter of Isaiah. 22, in Bible numerics, means “Light, revelation.” Other than the book of Revelation, this is the only place where this key is mentioned! When God opens doors, no one can shut them. When He shuts doors, no one can open them! David was a man after God’s own heart because all he wanted to do was make sure that the Ark, a picture of Jesus, was at the center of worship in Jerusalem. It wasn’t until after he became king of Israel that he was at last able to realize his life-long dream. 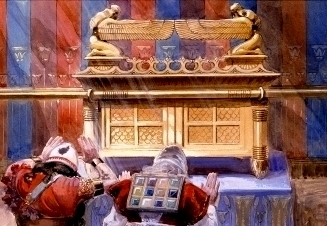 Notice in the picture above there is no veil separating the worshippers from the Ark. There is no separation between God and His beloved. David means “Beloved.” It’s a picture of pure grace. David knew God’s heart. That’s why he was not afraid to bring the Ark to Jerusalem and worship before it. #1. They kept Jesus’ word and loved to talk about Him, about revelations of Who He is and what He does for us. Knowledge about Jesus is not enough, as in the case when the wise men came to King Herod to find out where Jesus would be born. The Pharisees were able to tell the king but not so Jesus could be worshiped but to be killed. That’s not the kind of Bible knowledge you want. It must be revelation about Christ: His person, His glory, His majesty, His work, and so on. #2. They did not deny His Name. They were a church that loved to mention the Name, “Jesus.” The Bible tells us that in the end times, like now, there will be a pervasive spirit of antiChrist. Notice it’s the spirit of “AntiChrist,” not “AntiGod.” These people are for God but against Christ. 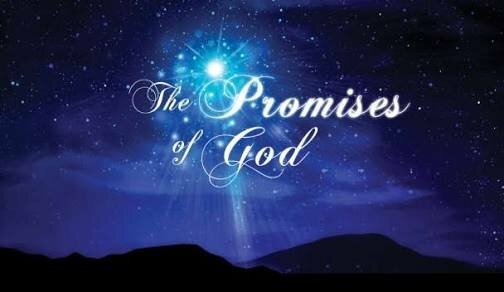 Many talk about the Names of God, Elohim, Jehovah Nissi, Jehovah Rapha, and so on. Yes, it’s OK to talk about the many names of God, but remember it was Jesus Who died for us. He is the Christ, our Messiah. Don’t be afraid to speak out His Name: Lord Jesus Christ. #3. They held on to His patience. In the midst of trials and tribulations, they held on in His patience, persevering in the face of them by not blaming God. They recognized that those things are not from Him; that He turns every trial into a triumph and makes all things turn out for good to us. They prayed, “Lead us not into temptation, but deliver us from evil. Now, there are many things that God will keep us from going through. If you never go through anything, how will you know you were delivered from it? That’s why God will allow us to go through some testings and trials so that we will know what it means to be delivered out of them. That’s when we give Him praise because we don’t know the things from which we have been saved. Thank God for the things you don’t know about because they didn’t happen to you. There’s a key in Jesus’ nail-pierced hand for you and I. What kind of doors does His key open? Let’s look at a few scriptures. Key To The Door Of Faith. Even for faith, we are fully dependent on God to open the door to us so we can walk in the way He wants us to. God is our supply! God has the key! Keys To Death And Hell. In the garden, it was Adam who committed high treason, bowed his knee to the outlaw spirit, satan, who brought in death, sickness, disease, poverty, every curse that became our heritage. But when Jesus died, He bought back those keys of death and hell in His hand. HALLELUJAH!!! Key To The Door Of Effective Ministry. The word in Greek for great is “Mega,” and effective or productive is the word “Energés,” where we get our word for “Energy.” A door opened to Paul for great energy to do miracles, witnessing, preaching, etc. Good thing because there were many enemies. You need great energy to be effective against adversaries on every side. God provides that for his servants who are called to minister. Whenever you have an effective ministry or area of service you are going to have people who are jealous, who want to see you fail, who work to try and make you fail TO NO AVAIL! Those who preach and teach want to make sure they pray this prayer that God will speak His truth through you as you preach and teach others. How often, as preaching is going on, do some of the things which are said by the pastor are things he or she didn’t plan to say? They just “Happen,” to be included and lives were changed. What was spoken that reached out and touched someone, unbeknownst to the one preaching, was the Holy Spirit taking over the teaching! Even as a parent, when you are speaking to your child, the Lord will open to you wisdom on how to reach your young one. Sometimes as I am writing on a topic, I can hear the Holy Spirit giving fresh revelation. He’s an amazing teacher! “9 Indeed I will make those of the synagogue of Satan, who say they are Jews and are not, but lie–indeed I will make them come and worship before your feet, and to know that I have loved you. 11 Behold, I am coming quickly!Hold fast what you have, that no one may take your crown. When the Great Tribulation hits planet earth, it will be the worst of times ever before experienced in history. We, Church, will not be here during these dark days. We will have been taken out of this world in the greatest disappearance of all time: The Rapture! 12 He who overcomes, (1) I will make him a pillar in the temple of My God, and he shall go out no more. (2) I will write on him the name of My God and the name of the city of My God, the New Jerusalem, which comes down out of heaven from My God. (3) And I will write on him My new name. All those who put their trust in Christ will become a pillar in the temple of God, we will have a new name, and Jesus will write on us that new name. The Church of brotherly love, “Philadelphia,” not only knew and understood all these things, they meditated on them to the point that they were non-plussed by their culture. Their focus was right where it should be: Squarely on Jesus! That’s how they remained faithful through trials. That’s why Jesus said all those things about them. That’s why for this pastor there was no only no rebuke, there was praise for who they were and what they were doing.